CAIRE is the manufacturer of AirSep, Caire and Sequal oxygen concentrators and liquid oxygen. CAIRE offers Medical Grade Oxygen Concentrators allow patients to stay active with continuous flow oxygen or pulse dose oxygen options. A wide selection of Stationary Concentrators are designed to meet the various needs for both at-home patients and healthcare or clinical settings. Portable Oxygen Concentrators accommodate oxygen patients who live an active lifestyle but require supplemental oxygen. Liquid Oxygen or LOX offers lightweight portable oxygen with longer durations and with in-home oxygen that has been found to be the most successful therapeutic oxygen delivery method to-date. AirSep division of CAIRE manufactures oxygen products for both medical and industrial applications. Founded in 1987, CAIRE AirSep has global distribution, offering oxygen devices for hospitals, nursing homes, homecare, steel mills, paper mills, mining and water treatment facilities. 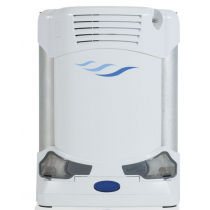 AirSep Portable Oxygen Concentrators are leaders in the industry offering Oxygen Therapy patients the smallest and most lightweight portable concentrators. SeQual division of CAIRE also has a global footprint like AirSep. CAIRE SeQual manufactures oxygen concentrators and other respiratory products. Like AirSep, SeQual offers medical oxygen devices as well as industrial oxygen. The highly versatile Eclipse 3 Portable Oxygen Concentrator is the most widely known SeQual product. This oxygen machine provides selectable continuous flow oxygen or pulse dose oxygen. For patients requiring more oxygen needs, the in-home Sequal Integra 10 offers up to 10 liters of oxygen per minute (LPM). A similar model for non-medical applications, called the SeQual Regalia, offers 10 LPM and is used for industry. 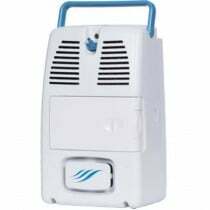 CAIRE provides a 5 liter oxygen concentrator called the Companion 5 and the HELiOS and Companion series of liquid oxygen products. The flexibility of LOX in the home and its portability away from home make CAIRE LOX a great choice for oxygen patients with active lifestyles. Liquid Oxygen allows oxygen patients high oxygen flows with greater duration times, allowing them longer stretches of time between refills and no need for an electrical power source.